Since coming back after the break, I have been tasked with briefing some unit and progress tests for an A2 Lower Secondary course for 11-14 year olds. I’m currently writing the progress and end-of-year tests, so I am working with my Cambridge English KET Handbook close to hand. I am cheered by the news that I may have found a writer for our unit tests as we are asking for someone to start as soon as possible and our first choices were booked up. As most UK and some overseas schools return after the winter half term break, here is the eighth session of my 10-week Teacher Training course for teachers of Young Learners. Session 8 examines the different reasons that underlie activities in children’s and teenagers’ lessons. Trainees explore how the students’ motivation for doing an activity can vary widely from the teacher’s aim. They analyse recently published YL course materials or the course materials that they use with their YL classes to discover each side’s motivation for doing the activities. I hope you find these materials useful and relevant to your teaching context. Do please let me know if you have any feedback or questions. 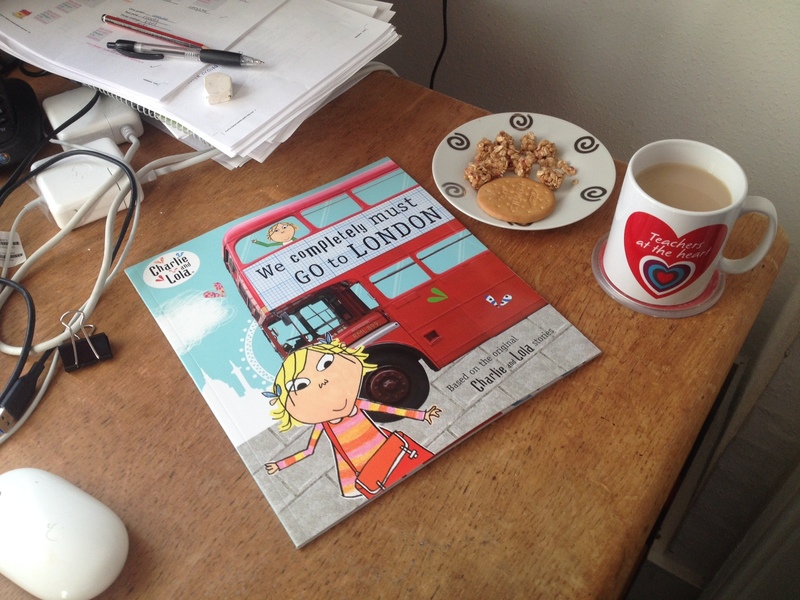 I spent my tea break this afternoon reading We Completely Must Go to London. I’ve booked to see Lauren Child talk at Oxford’s Story Museum as part of the Literary Festival on Saturday 2nd April. I’m really looking forward to it. Tickets are still available so if you want to join me, please do.